A kitchen can offer the perfect place for families to gather, for memories to be made, and for meals to be carefully crafted. If your client has a kitchen that needs an upgrade, we can help you find the perfect materials and products to turn the space into a comfortable and charming place. Talk to our team at ProSource® of Fenton to learn more about how we provide premium products at wholesale pricing. Cabinets allow for items to be stowed away, out of sight, leaving more counter space for dicing and slicing. When you plan your client’s new kitchen, be sure you include the perfect kitchen cabinets to keep their new space pristine. 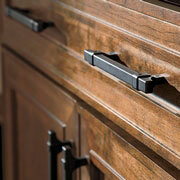 No cabinets would be complete without the right hardware to pull it all together. From simple touches like handles and knobs to the components that make it all work, we have the cabinet hardware you need to make your project complete. 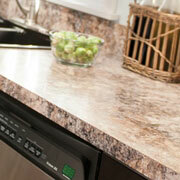 A countertop provides the space you need to prepare meals and store handy appliances. With wholesale pricing on granite, quartz, marble, and more you can find a solid countertop at ProSource of Fenton. 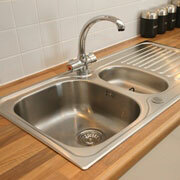 A kitchen sink serves as more than a place to wash up dishes. It also functions as a critical design element to the room. Find the right style and price to match your client’s needs. Some kitchen faucets are simple and sleek. 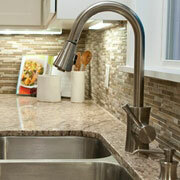 Other faucets come with all the extras, such as hot water taps, filtered water spouts, and sprayers. 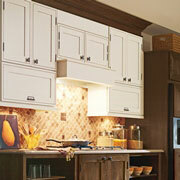 Whatever style fits your kitchen remodel, we can help you locate just what you need.